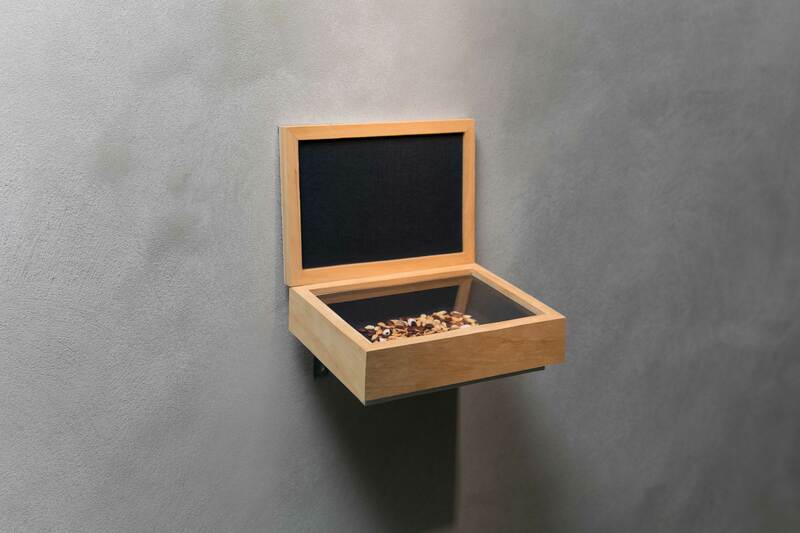 Unsellable Artwork, 2018, Object; organic seeds, wood and fabric, 16 x 22.5 x 8 (h) cm. In Unsellable Artwork, 2018 Deniz uses a selection of vegetable and fruit seeds she bought from a local organic market. It highlights Turkey's, as well as many other countries’, ongoing restrictions on seed exchange and sales. The title questions the value attributed to an artwork as well as to its material content, seeds.